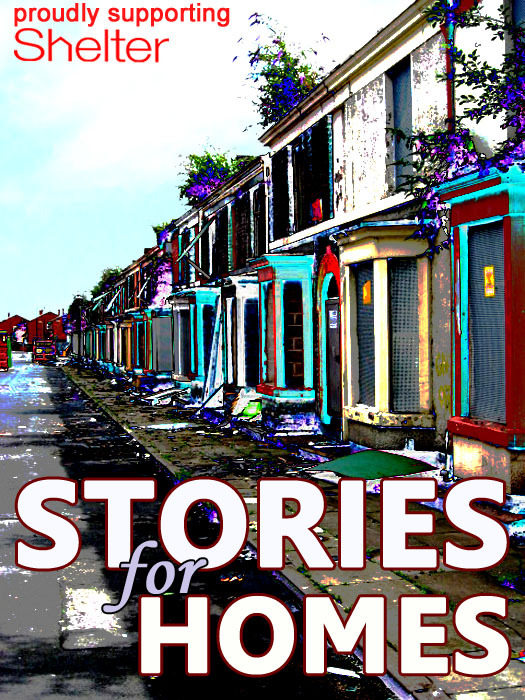 The first Stories for Homes anthology was published in 2013. Known and emerging writers were invited to submit stories on the theme of Home. After a rigorous editorial process, 63 stories were selected for the anthology. All the production and administration was done on a volunteer basis, and every penny of profit from the book goes directly to Shelter. It is available in both paperback and e-book format from selected bookshops, Amazon and Create Space store.